Jason, any chance you have the plastic part of the rear fender lying around? I can desperately use one if you have it. The plastic part that gets riveted to the metal rear fender. Know what I mean? I have a few of them. You're welcome to one. Sweet! 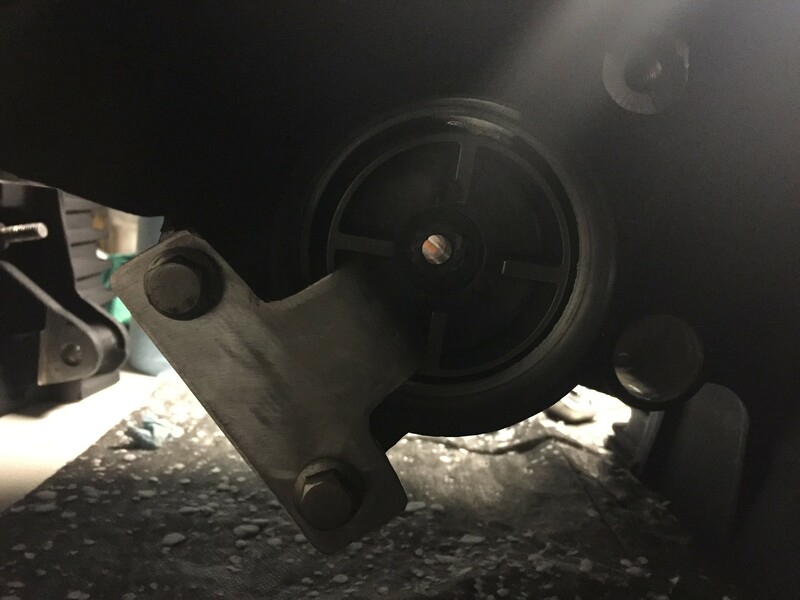 I need one that holds the cylinder for the rear spring compression. I think there maybe two types as the TB and the legend don't have that on their fenders. I'll drive by someday when you're working from home. I definitely have at least one of those. significantly shorter than the old bolts. Still enough threads for the nuts to thread on, but obviously different bolts. I double checked the parts numbers and everything is correct, so I'm stumped. The dealership didn't seem to know either and said "they will stretch when you torque them down." I haven't rebuilt an engine in years, but I don't recall con rod bolts stretching that much. Maybe a fraction of a mm at best. Other than that, things are going back together pretty easy. Another minor setback that ate up a bit of time was, having misplaced my tool for holding the alternator impeller, I had to make another. Made this one a little nicer than the last so if anyone needs this for any reason, happy to lend it out. When you say "Still enough threads for the nuts to thread on" do you mean the threads protrude from the other side of the nut? They need to protrude at least enough to get "full" threads engaged with the whole nut. Looks like almost 2 threads' length before you get to a full thread. Are you using different rods from original? 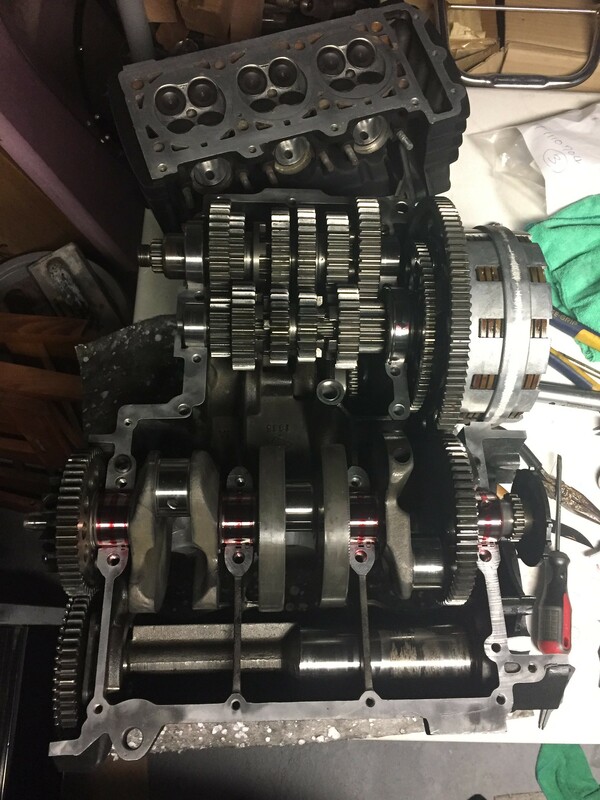 If so, I assume you ordered bolts to match the rods, not the original engine. 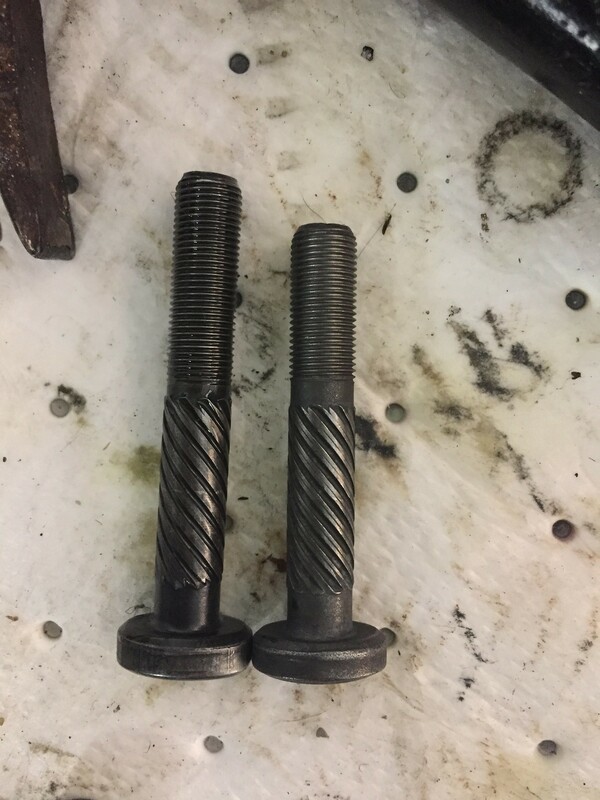 Since the rod big end is part of the rotating mass, and as such is factored into the engine balancing, the replacement bolts must be the same weight as the originals. That much shorter, I imagine they weigh less. DON'T USE THEM!!!!! There should be at least 1 complete thread protruding.